These four brief words summarize the peacemaking framework that guides the Global Immersion Project as it seeks to cultivate everyday peacemakers through immersion in global conflict. See. Just as God saw our humanity, our dignity and our plight, we must develop our ability to see the inherent value of the “other,” understand what in our lives prevents us from fully seeing and build perspective beyond our own experiences. Immerse. Christ immersed himself in our conflict-riddled story. We, too, must enter into conflict armed with compassion and humility, with the capacity to hold diverse perspectives, and with the desire first to understand instead of being understood. Contend. In addition to immersing himself in our world, God engaged with our conflict in order to seek our flourishing. Likewise, we need to find ways to defend the marginalized and promote their flourishing, to discover the power of collaborating with other peacemakers and to move beyond the status quo for the good of all. Restore. Through Christ, God reconciled us to himself and to one another. We must work to create a mutually beneficial, co-creating community by restoring former enemies, the hurting and the healing alike in healthy, mutually beneficial ways. A discussion with a student who grew up in southern California and was undocumented until Deferred Action for Childhood Arrivals (DACA), but still faces challenges in obtaining the education she desires for her career aspirations. Though the trip’s focus was on immigration and how we can – and should – better engage with the topic, we also sought to understand these questions: What role must Christian universities play in forming and activating its faculty and students as agents of reconciliation? What does it mean for a Christian university to be an agent of transformation itself? This isn’t a question we can answer in one sitting. What follows are responses to this peacemaking process from a few of the administrators who took this journey. Our hope is that this starts discussion, garners interest in the growing partnership between the CCCU and the Global Immersion Process and – most importantly – propels us all to follow the leading of Jesus to become peacemakers guided by the Gospel. Morgan C. Feddes is the CCCU’s communications specialist and managing editor ofAdvance. Many questions remained unanswered throughout this journey – and that’s okay. As I embarked on this experience, I found myself thrust into a space heavy with both import and discomfort. As the chief academic officer at the University of Northwestern – St. Paul, did I really belong here? What did I know about immigration beyond a passing exposure to the polarizing political debates and media fray? Would this immersion experience prove a worthy investment of institutional time and funding? Motivated by curiosity and a desire for greater knowledge, I could not foresee the interpersonal experiences that would gradually displace my head with my heart. For me, this journey was punctuated by unsettling juxtapositions and soul-searching questions. I arrived at few answers, yet my penchant for tidy conclusions proved far less important than the transformational process itself – for both me and my institution. Driving to the Mexican border on Friday afternoon, I sat in the front row of the van to have easy access to Agent Frank Alvarado, our guide from the U.S. Border Patrol. He and three other representatives had just shared statistics, artifacts and stories of unauthorized border crossings, proudly conveying their success in decreasing arrests. As I pondered Agent Frank’s ready responses to my questions, mile after mile of metal fencing and barbed wire framed the separation between the U.S. and Mexico. Toward the end of the road trip, the stark contrast of the beautiful brick walls protecting $500,000 San Diego homes from the Tijuana shanties only hundreds of yards away spoke louder than the rumbling of the vehicle or the growing clamor within my own mind. 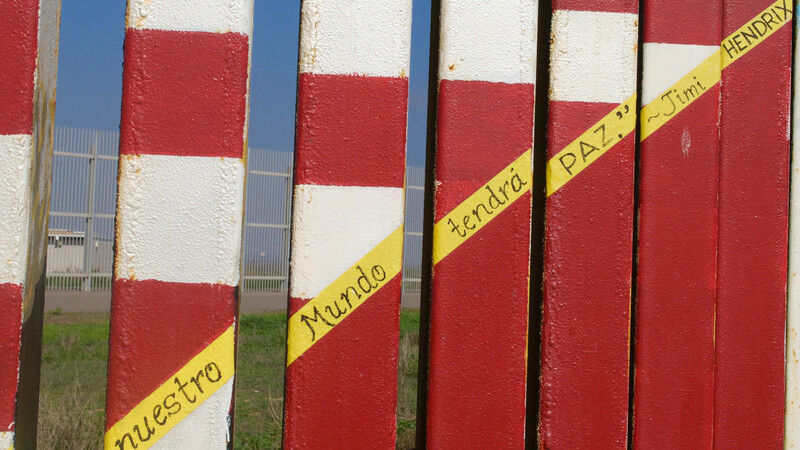 That afternoon, we visited a park on the Mexican side of the border, where openings in the wall are so small only words can pass between those who venture there each weekend to “see” their family and friends on the opposite side of the wall. The irony of the designation “Friendship Park” was not lost on us as we spent time listening to and learning from deported mothers separated from their families in America. Their cheerful pink shirts belied their poignant stories of abusive spouses, painful separations from their children, and overwhelming love that compels them to find a way back home. By the end of the trip, I realized my need to know had been eclipsed by my seeing, hearing and feeling. This global immersion experience had touched the essence of what makes us human. The individuals I had encountered on my journey spoke into who I am as Christian, American, wife, mother, daughter, neighbor. In the ensuing days thick with faculty concerns and budget deadlines, I struggled to translate the impact of my immigration experiences to my university. I had not arrived home with a strategic plan, clear objectives or even a focused vision. What I did know, however, was that my perspective, the depth of my compassion and my commitment to action had irrevocably changed – not primarily through knowledge but through human experience. In Desiring the Kingdom, James K. A. Smith identifies the purpose of higher education as “not first and foremost about what we know, but about what we love.” This trip succeeded not only in enlightening my mind but, more importantly, in shaping my heart. It moved me closer to the goal of Christian education that Henri Nouwen describes in The Way of the Heart: increasing our faithfulness to the great commandment to love God with all our heart, mind and soul, and our neighbor as ourselves. Richard Rohr notes in Everything Belongs, “Jesus pushes seeing to the social edge. . . . When we can see the image of God where we don’t want to see the image of God, then we see with eyes not our own.” Such seeing is often impossible when we remain within the confines of comfortable spaces and places. Opportunities like my global immersion experience invite us into a wrestling of mind, body and soul that can ultimately facilitate personal, institutional and cultural transformation. Christ calls us to nothing less. Janet B. Sommers is the senior vice president for academic affairs at University of Northwestern – St. Paul in St. Paul, Minnesota. This kind of education isn’t just for our students. What does it look like to teach for justice? In Nicholas Wolterstorff’s essay “Teaching for Justice: On Shaping How Students Are Disposed to Act,” he argues (and I agree) that the processes and goal of education ought to be characterized by God’s shalom, and this endeavor requires empathy. In my experience, the empathy that leads to just action is most often gained though personal relationship. My question has been: How am I to engage in relationships with those who suffer when my professional life revolves around teaching classes, doing academic research, and sitting in committee meetings? Seattle Pacific University’s motto is “engaging the culture, changing the world,” and the question that students repeatedly ask is “Whose culture, whose world?” They question whether “the world” the faculty and staff engage is the same as theirs. Students wonder if their professors possess empathy born out of lived experience to address the injustices they face. We speak of the need to get students outside the “bubble,” but are our faculty and staff needs any different? One of my research and teaching interests is the biblical exile. For the past two decades, researchers have utilized methods from forced migration studies and have begun to explore the intersections between the biblical exiles and contemporary migrations. From my own personal and ministry context as a Korean-American immigrant, I’ve written and taught on the Asian American experience and exile. This intersection between the biblical exile, immigration and forced migration made a dramatic impact on classroom learning one quarter when an older student, who was a survivor of the Khmer Rouge genocide, shared his story of survival as a refugee. After hearing his story, we read biblical texts of conquest, captivity and deportation with fresh eyes and renewed interest. Last year, I had a student come into my office for prayer because her father was recently deported to Mexico. She and her family are devout Christians, and for them there was no question that he would attempt to return to the U.S. Her prayer was that he would not suffer injury or harm during the journey so that he would be able to work and provide for their family. She expressed to me that the thought of her father in Mexico was such a daily mental and emotional strain that she wondered if she would be able to continue with her studies. 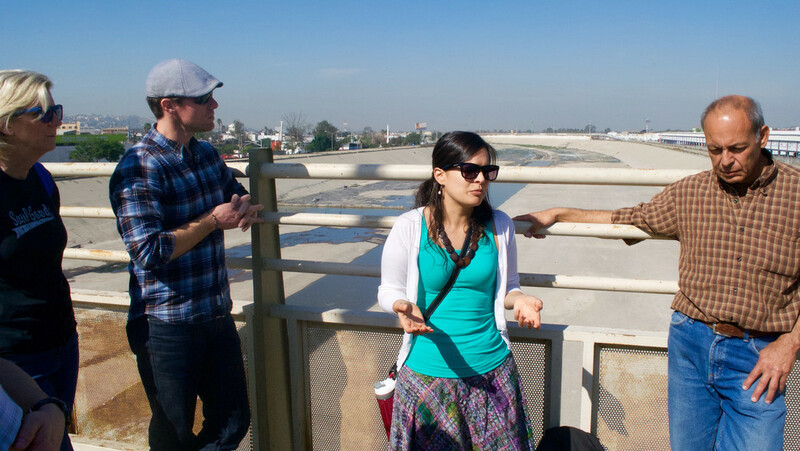 Why did I jump at the chance to go on the Global Immersion Trip to San Diego and Tijuana? It was to gain a little lived experience from which I could draw upon to relate to my students. It was so that I could more empathetically pray for my students. It was to inform my research and writing on exile and immigration. It was so that I could better teach for justice. What I appreciated about the trip was the opportunity to explore immigration from both sides of the border and hear personal stories as well as explore systemic issues. The time spent hearing the U.S. Border Patrol justify its work was invaluable. While we were driving along the border wall, the patrol caught several young men attempting to cross through the fence. I can still recall the look of discouragement on those men’s faces as they were rounded up. 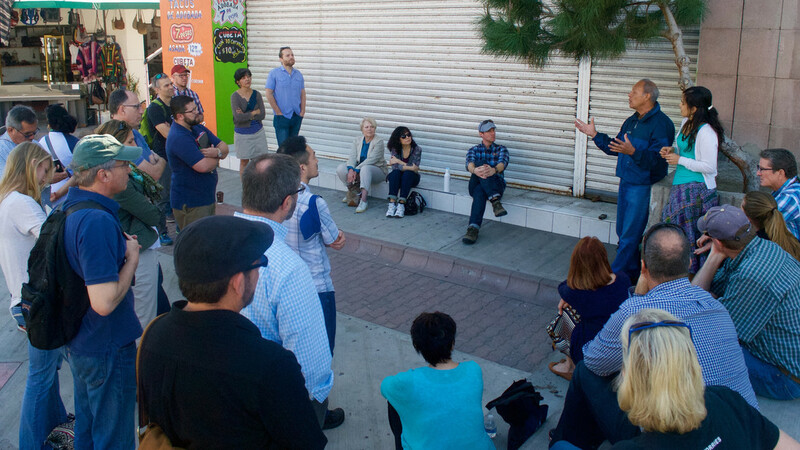 Meeting activists in Tijuana and hearing first-hand the stories of DREAMer moms was unforgettable. I met fellow Christians who may be directly and dramatically impacted by the results of our upcoming election, or any action or inaction by Congress regarding immigration. Immigration is an issue that I wanted to more deeply engage personally and professionally. I had already discussed how SPU might engage the topic of immigration with our provost, Jeff Van Duzer, who also attended the trip; this experience has only deepened our desire to mobilize our campus to do so. I’m grateful that I’ve developed friendships from the experience and now have people on whom I can lean as ongoing allies and resources, and I’m more motivated and informed to teach and write on the exile and immigration. Bo H. Lim is the university chaplain and associate professor of Old Testament at Seattle Pacific University in Seattle, Washington.